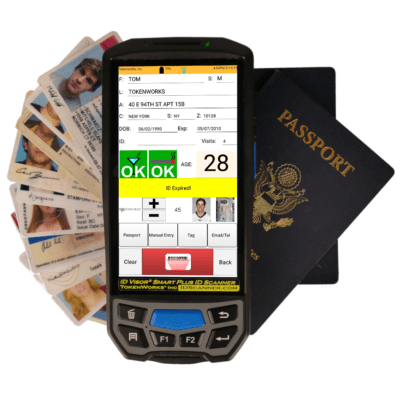 Portable Age Verification Archives - IDScanner.com by TokenWorks, Inc.
Handheld Drivers License ID Scanner for Age Verification. Battery Powered ID Checker reads the barcode or magnetic stripe, calculates age, saves data for due diligence. Some have Cameras and Customer Relationship management features.